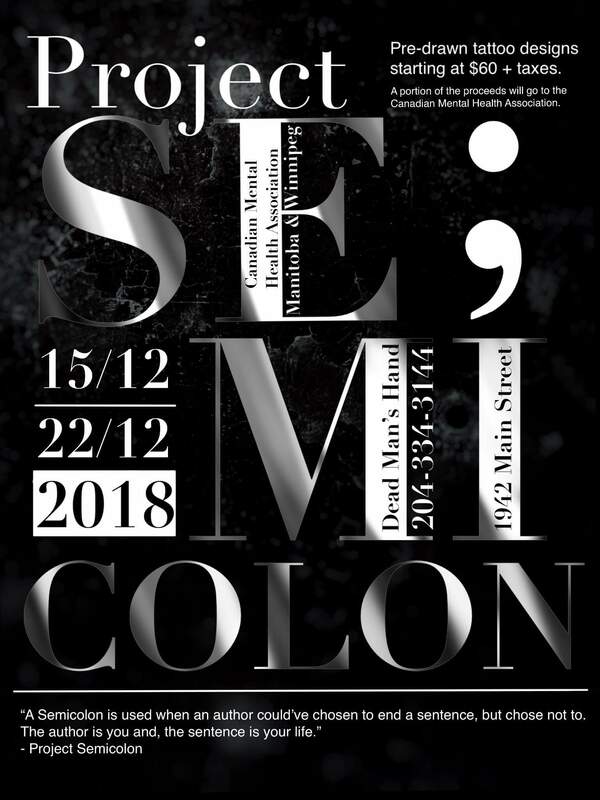 They are hoping to do the same next month! 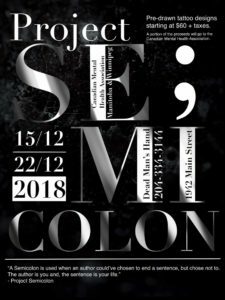 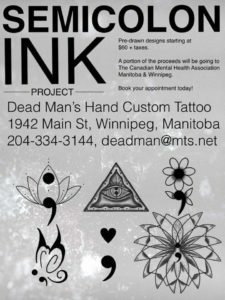 They are doing pre-drawn designs at $60+tax and a portion of the proceeds are going to the CMHA Manitoba and Winnipeg. 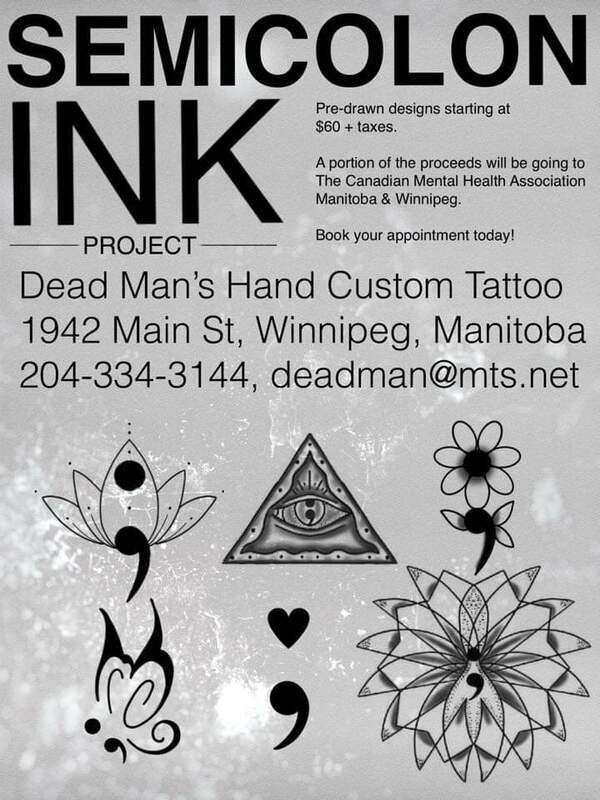 You can pre-book your appointment, just call the shop at 204-334-3144 or message our Dead Man’s Hands Tattoo Shop Facebook page.